Braai packs and salads available by prior arrangement. 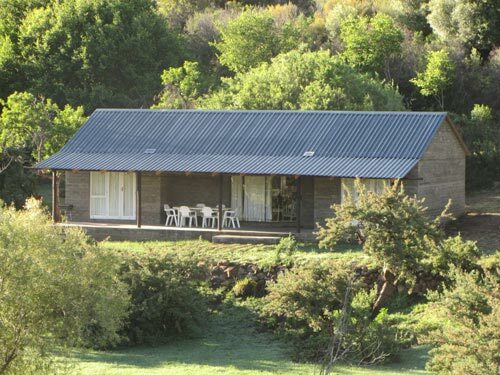 There are three dwellings on the farm that provide the accommodation, the 10 sleeper Lupela Cottage, the 2 sleeper Silo Cottage and the 4 sleeper Lookout Cottage. 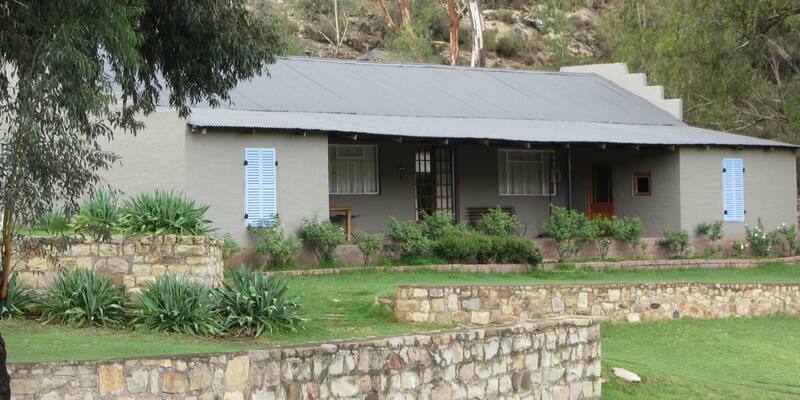 This spacious self-catering lodge overlooking the Karnemelkspruit has 5 en-suite bedrooms and sleeps a maximum of 10 people. 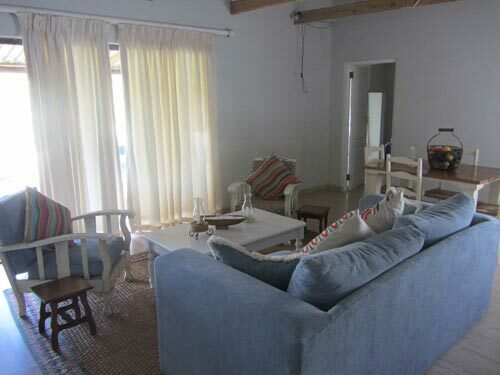 Three bedrooms are inside the Lodge and two bedrooms are entered from the verandah. The Lodge has an open plan lounge, dining room, pub and kitchen. 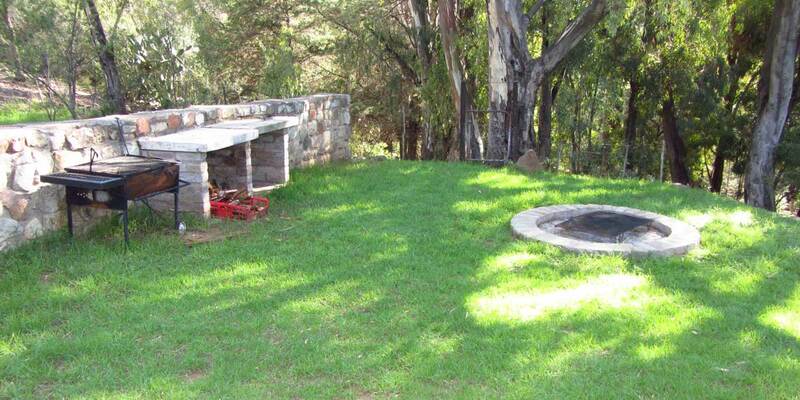 The kitchen is fully equipped with hot water, electric stove, fridge, microwave oven and outside braai facilities. Lounge with big fireplace and a pub area. 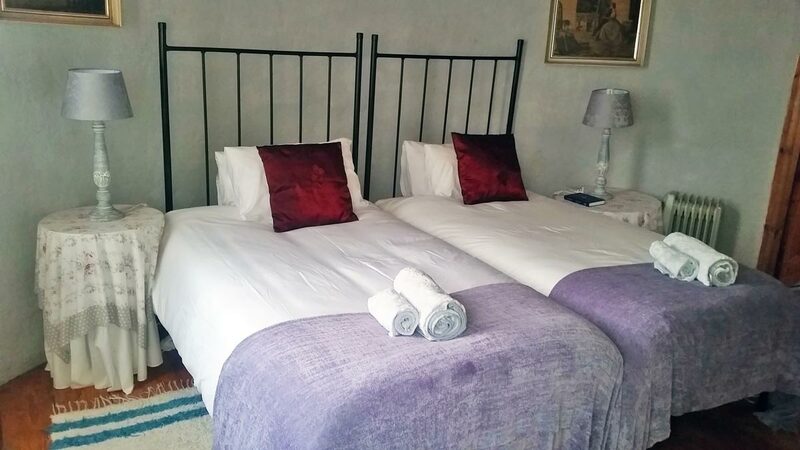 Bedrooms are fitted with comfortable ¾ beds in all 5 rooms with crisp clean white bedding and towels. Electric blankets provided for icy winter nights. The lodge is serviced once a day. For catered groups all meals are served in the main dwelling except if stated otherwise. 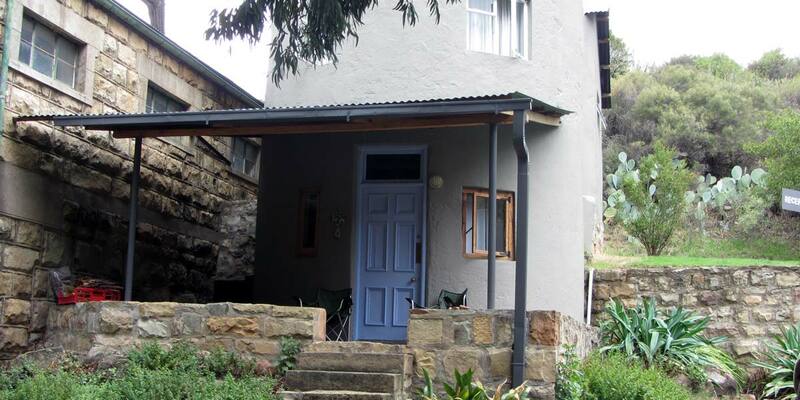 This charming building was used as a grain store before being converted into a small cottage. 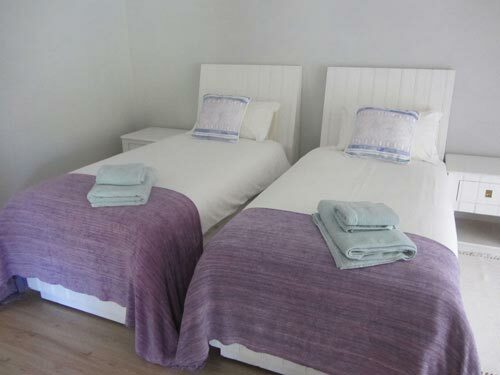 It consists of an en-suite bedroom with 2 ¾ beds which can be made up as a king size bed on request on the first level. 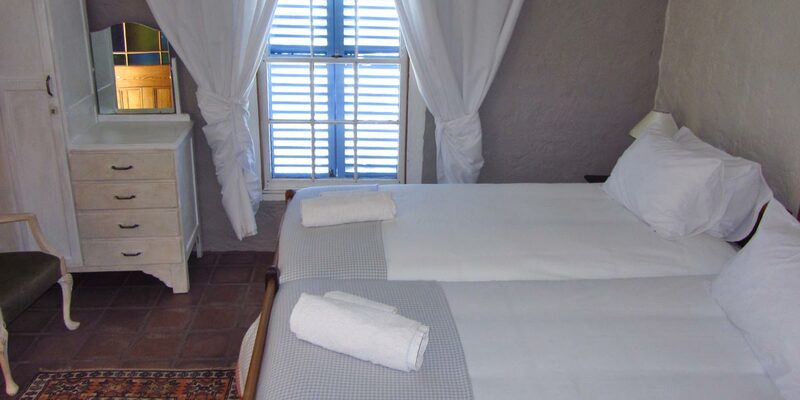 The bedroom has a reed ceiling, white linen and an electric blanket to keep you cosy on cold nights. 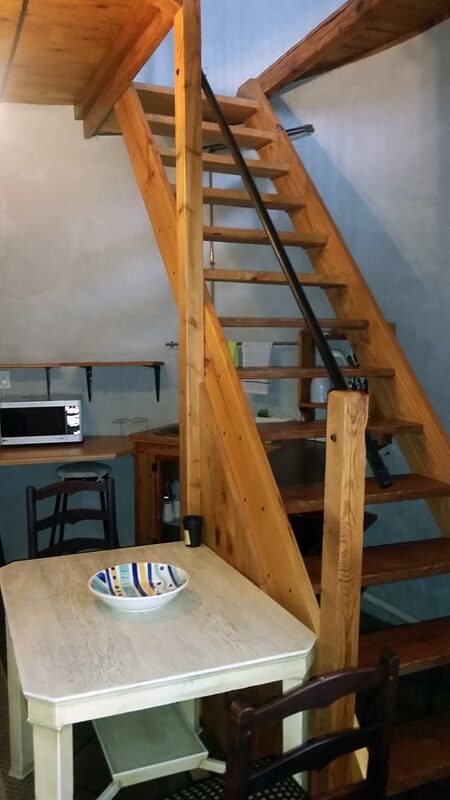 A lounge/kitchen area at ground level with a small fridge, microwave, two burner gas stove and braai facilities on a spacious stoep. The Silo Cottage is serviced once a day. Look Out cottage is on the river bank overlooking the river. 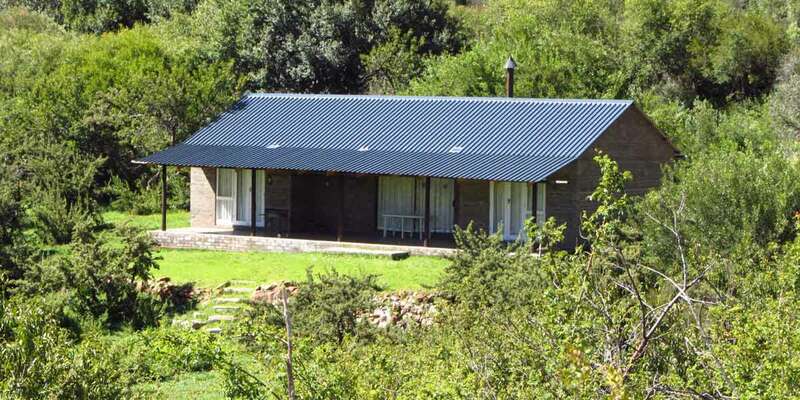 This cottage has two en-suite bedrooms and open plan kitchen, dining room and lounge. 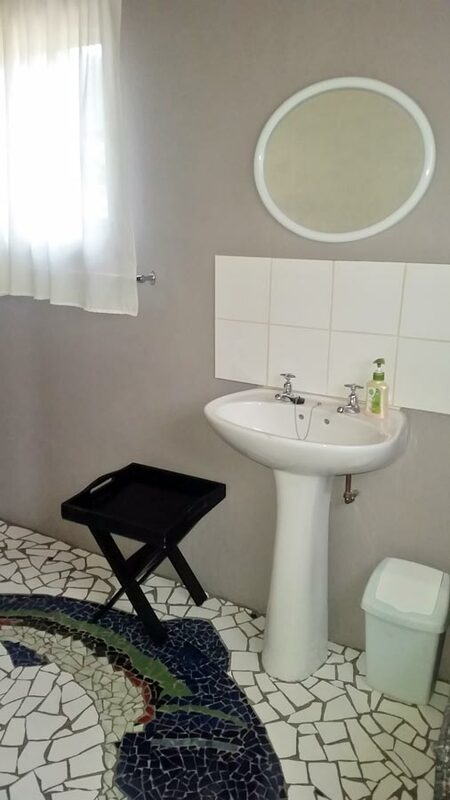 It is fully equipped and all bedding and towels provided except swimming towels. The cottage makes use of gas only and solar lighting. 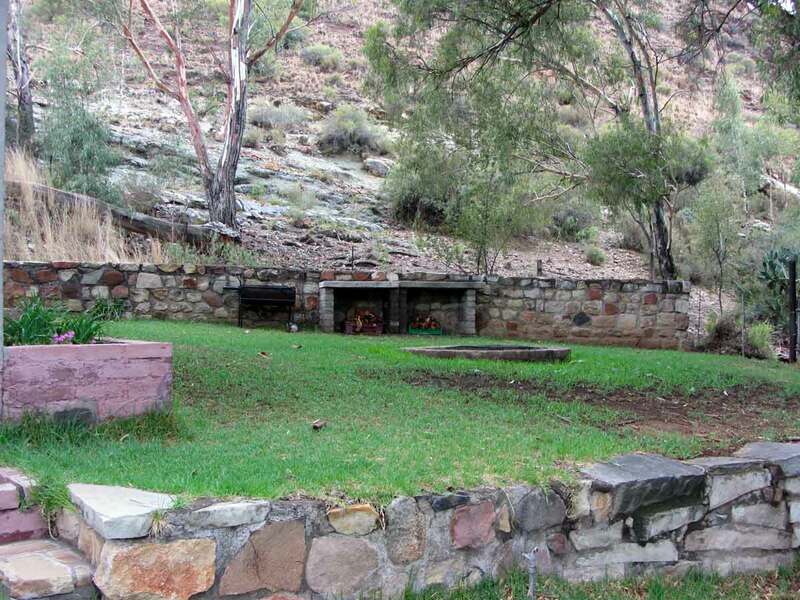 There is a big stoep in front and braai facilities. It is a truly charming little cottage where you can become one with nature.